The rock garden at Ryōan-ji Temple, in Kyoto, Japan [14th-17th Centuries], continues to fascinate scholars, architects and landscape designers, and the lay public the world over. Even for people who know or care nothing for landscape design, or Zen Buddhism, it's a familiar reference symbol for Eastern mysticism and cultural paradigm. It's an artifact which could only have been conceived of in Asia, and is like a synthesis of several ideas about the East which have become familiar to travelers and thinkers since the "opening" of Japan in the latter half of the 19th Century. While living in Japan in 1985, I spent the better part of the Fall of that year, living in a ryokan (a kind of Japanese motel or inn) along the river in Kyoto, visiting most of the temples and temple gardens in the city and surrounding. I had no car of my own, so I got around in the city taxis, which are kept immaculate and efficient by a devoted class of professional drivers. Were I to have taken up semi-permanent residence there, I would no doubt have acquired a good bicycle, since that is the most convenient mode of transportation there. Kyoto is heavily touristed, so Westerners are a familiar sight. Nevertheless, at 6'4", in my long brown trenchcoat, I was a curiosity in the city, especially among the young inhabitants, and could hardly go anywhere without being the eccentric center of attention. The garden is open to the public, but only by tour schedule, and access is restricted to certain paths and viewing positions--typical of nearly all the gardens in the city. Fees and rules govern one's sense of these places. Many of the temples are still religious centres, in daily use, so care must be taken not to disturb the habits and atmosphere of devotion and calm which pervades them. Ryōan-ji is a Buddhist temple, and as such, its design and function are intended to facilitate and inspire religious feeling. Part of its charm is our Western sense of the subtly mystical quality it conjures up in the viewer. Even if you're unfamiliar with the practice of meditation, or tend to regard it as hocus-pocus, it's still an exotic place. Zen Buddhism is a complex religion, and far beyond the scope of my simple essay here, but suffice it to say that the rock garden at Ryōan-ji was constructed as a physical (visual) form meant to promote the meditative state of consciousness, to allow the viewer to attain higher states of being through the deliberate focus on ideas of presence, unresolved and resolved tension, and greater (super-) awareness. Structurally, the garden is a flat rectangle surrounded by successive courses of stone and gravel. Within this rectangle is a bed of light grey gravel, within which are located several stones in various positions and groupings, not unlike "islands" in an ocean. 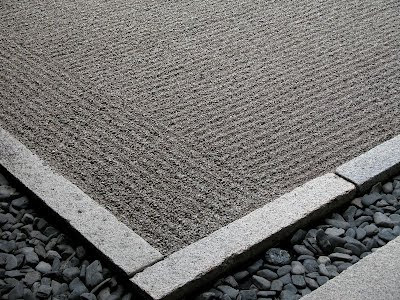 This sense of a sea is reenforced by the parallel lines drawn in the gravel, which are renewed each day by dragging a rake to form the concentric "waves" into the gravel. The longitudinal lines are interrupted by circular waves (or lines) which surround each of the "islands" of stones within the gravel bed, emphasizing the idea of the flowing of space or matter around them. Japan is an island nation. During most of its history, its island-ic isolation has been one of its chief characteristics, fostering a geographical uniqueness which has been protected and emphasized; Japanese culture has tended to regard itself as the center of its universe, and its island aspect is a key to its sense of (it-)self. Isolation and separateness are key elements. In the West, we tend to think of gardens as being precincts of flora--that is, primarily as places where plants grow. In gardens of the West, plants or plantings form the focus and subject of outdoor made places. The notion of a garden with very few, or even no, plants in it, is at odds with our idea of "garden." Of course, nature itself may be regarded--in some places--as a garden. If we define a garden as any outside place where the space has been arranged, deliberately, or even "naturally," in a stimulating or pleasing way, we may call it a garden. There may even be "indoor" gardens. An automobile dealer's parking lot could even be considered a garden. And you often see "fake" gardens composed of plastic shrubs, plastic grass, even plastic animals (such as pink flamingoes). My point in mentioning these extreme instances of "gardens" is to suggest that what we think of as a garden space is certainly not limited to a place where organic flora form the whole point and justification for a landscape design. Interior and exterior design elements may merge and intersect in ways that challenge our sense of organized external space. It's not known exactly who designed the Ryōan-ji garden. It may have been a Buddhist monk, or a gardener, or some combination of these. And it's not known when exactly it was constructed. It may have occurred at some point between the late 15th and late 17th Centuries. We do know that it was destroyed, and then rebuilt, or restored, several times. As late as 1797 it was destroyed by fire and reconstructed. Since World War II, its canonical position in the world's roster of special places has been reaffirmed by countless visitors, and by serious study, as one of the most inspired creations in history--standing alongside the Parthenon, the Eiffel Tower, the Pyramids, Angkor Wat, etc., as a masterpiece of conception and execution. Some have even speculated that the source of its powerful effect on the viewer is some technically deft geometric set of relationships. I'm not a believer in "magic" influences, or supernatural phenomena. When people begin to talk about "spiritual" qualities in inanimate objects or structures, I become skeptical. It's possible to play tricks on our nervous systems, by--for instance--spinning in place like Sufi dervishes do, in order (as it is said) to transport the dancer into a state of dizziness, which is thought to facilitate a higher consciousness, or religious ecstasy. Whether such disorientation is actually a form of divine awareness I leave to the reader to decide. What happens when you sit in a garden space? What happens when you sit quietly in a redwood forest? What happens when you sit on a porch swing in a quiet neighborhood on a summer evening? If you go about deliberately to locate a condition of attention in which you are able to think yourself into a kind of still trance, is it possible to convince yourself that your surroundings are influencing you to reach a state of pure attention, in which brain activity is brought to a kind of absolute calm? In the West, we think of beautiful gardens as creating a sense of harmony between man and nature, wherein the rational augmentation of natural landscape "perfects" nature--a favorable combination of genetic descent and formal adaptation that perfectly suits human use and appraisal. Eastern notions of garden design seem more austere and reserved. Western garden design has always been about making an orderly imposition, opposed to "wildness." But Eastern garden tradition has been no less "artificial" in its sense of discrete "cultivated" design. Ikebana, after all, is really about the same thing as pruned topiary. But a garden based almost completely on non-organic "hard" elements asks to be considered as a kind of frozen (or fixed) sculpture. Rock doesn't move, and due to its apparent permanence and stability, may seem to be a more serious material with which to work. 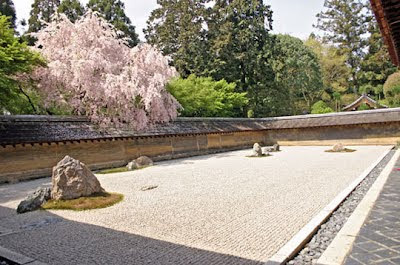 What distinguishes Ryōan-ji from most Western garden design is its evident "emptiness"--in which discrete elements can be measured and appraised. If it were only an empty sandbox or tray of gravel, with nothing to consider, that vacuity might signify a kind of riddle of absence. There is a toy-like preciosity to Ryōan-ji which makes it seem somehow not serious, or a kind of camp joke. Western tourists may observe that nothing is happening, that the lack of an animate stir, or of a puzzle-like intrigue, leaves them cold. Its unchanging permanence, after all, is what allows it to remain, over the centuries, as resistant and adamant in the face of human changeability as the very planets in the heavens. Perhaps it is that icy, locked condition, that mimics the laws of mathematics, which persuades us that its settled, rooted parts, like magnets on a game board, have inter-relationships which indicate forces--of attraction and repulsion--that dictate necessity. The Japanese pride themselves on their feeling for natural stone. 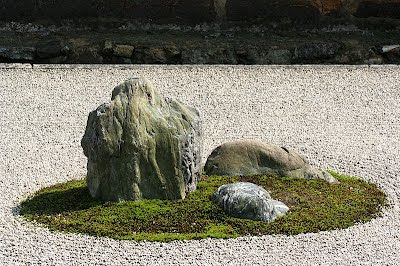 Natural, unmanipulated boulders, deftly placed to "mimic" "natural" arrangements, are a staple of Japanese garden design. 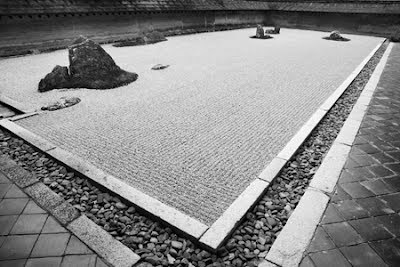 We are asked, implicitly, to accept the positionality of the stones in Ryōan-ji as being "naturally" occurring in a wild landscape, though we do also sense, simultaneously, their aesthetically satisfying artificial quality. Are humans capable of seeing anything--any arrangement of natural or artificial objects--as being utterly devoid of underlying meaning, whether religious, natural or man-intended? Our human consciousness seems fated to make meaning from data, perhaps in spite of itself. One of the aims of Zen Buddhism meditation is to escape from the snares of daily distraction and buzz, by excluding extraneous experience and preoccupation. This state of emptied consciousness is a prerequisite for illumination or insight into deeper levels of understanding. In Zen, the attainment of a condition of higher doubt may be facilitated through the recitation and consideration of koans or dialectical riddles. But words, like designs or material objects, are merely tools or shorthand media to facilitate enlightenment. Gardens may serve a meditative function, though they cannot be considered ends in themselves. One may be in a garden, in the same sense that one is in the universe, but an arrangement of rock and moss and gravel is nothing more than an illusion of fixed significance. Is there some kind of perfectly harmonious energy which is transmitted when a Zen monk, or anyone, stares peacefully, but attentively from the viewing platform at the Ryōan-ji? What is harmony? In music, we think of harmonious rest as the return to a settled home key. But music is a movement among different degrees of vibration in air. Do objects resonate in space, even if/when we can't hear them oscillating in their molecular stasis? Do objects communicate or interact with each other, subliminally, when in some secret proximate relationship? Is it possible for sentient beings to perceive such faint traces of energy by quieting the mind's interruptive background of static and helpless flux? Our higher brains give us perhaps the illusion of illumination or an ultimate passivity to fate. Attempting to describe such illumination or awesome emptiness, in words, is a reminder that we are both trapped in language, as the medium of communication, and liberated by its easy convenience. Capitalism is an amazing idea. That people could create wealth by raising capital as investment to tap into the common economic power of society, and bring about enhancements of the quality of human life. It's really a 19th century idea by now, of course, since the sophistications of the manipulation of paper have become so baroque that the simplicity of the original model is too ornate to have much concrete significance. But initial public offerings still appear to possess the kind of purity of capitalist drive we like to think demonstrates the true entrepreneurial spirit. And occasionally, the public does get to share in the premium of value which accompanies a successful corporate venture. Yet too often in our present anxious investment environment, the excitement we associate with a promising venture is nothing more than manufactured hype, foisted off on a public looking desperately for fast, easy gains. 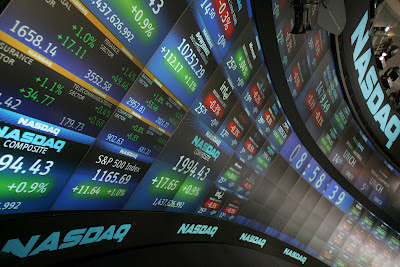 Today's Facebook IPO was listed at $38.00, opened at $42.05, then fell back to earth at the close (finishing at $38.23). The word on the Street was that its underwriters had had to buy back shares to prevent its initial guaranteed price from falling below the original ask. Pretty embarrassing for one of the most highly touted offerings in market history. The problem, of course, is that despite Facebook's huge worldwide pull, there don't seem to be any clever ideas about how the site can actually generate cash. The internet is an amazing venue, and some retail promotion has developed, such as Amazon and e.Bay. But if the only way of "selling" air (or web-) time is to rent access, or to interface advertising copy between users and their activity, there's serious doubt about how capital can be generated. And that means that exaggerated projections about Facebook's profitability may have been oversold to a skeptical investment community. Personally, I wasn't motivated to participate, especially given the market's vulnerability at this point in history, with European banks teetering on the edge of crisis, and America's Federal deficit reaching critical mass. Can the kids figure out a way to turn hand-helds into money machines? It remains to be seen. We've seen how internet (or "Dot Com) capital ventures have foundered on dreamy predictions of a paradise of synergistic interactivity in which all our business is transacted on the vast stream of electronic data. But creating wealth out of energy impulses which is run on a largely free access float is proving to be a challenge. We all want the internet to be free and unfettered, but if corporations have their way, that may change soon. 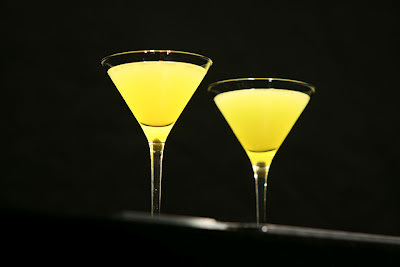 In any case, in the spirit of hope and progress and change, here is a new concoction from behind the mahogany counter. Here's wealth and prosperity and a brighter future for us all. Shaken and served up in a chilled cocktail glass. No garnish. Note: The Compass Rose blog will be silent for the next 10 days while I segue over to the Owens Valley, on the Eastern side of the Sierra Nevada Mountains, to do a little fly-fishing, at Hot Creek, the Owens River, and perhaps the Walker (over the border in Nevada). Wish me luck! 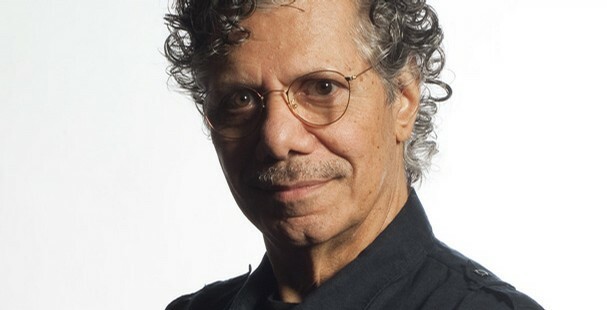 Chick Corea [1941- ] is a well-known and appreciated jazz pianist, admired as a performer, composer, arranger, activist and teacher. He's been involved with a number of generic jazz styles, and freely crosses frontier borders between classical and jazz expression. In the best sense, he erases those divisions and creates something that is "purely" itself. Among his own compositions, I've admired his Children's Songs, a set of 20 short pieces [1971-1984]. If you know the literature of the keyboard, these pieces bear some obvious resemblance to similar kinds of pieces by Bach (Well-Tempered Clavier), as well as Satie (Three Pieces etc. ), Bartok (the Microcosmos), Prokofiev (Visions Fugitives), and Mompou (Cancion y Danzas). Like a lot of young keyboard students in the 1950's, I was exposed to a series of dull "pedagogical" introductory workbook pieces, designed to enable the pupil to accumulate skills and knowledge through puerile drudgery. The pieces were uninspired, and condescending, as if the composers were trying to pat you on the head as you struggled to punch out their dull "row row row the boat" exercises. It wasn't clear why anyone would want to play such pieces. What was clear was that there was little connection between the joy of making music, and the duty implied by their drab functionality. Music as calisthenics. Like any intelligent child, I rebelled against this regime, and demanded to quit the lessons. But three or four years later, inspired by jazz--boogie-woogie and stride--I began to tinker with the instrument on my own, with vastly different results. By the time I was age 16, I was immersed not just in jazz, but classical keyboard playing and music as well. I had been drawn in by my own fascination and interest, instead of being force-fed the gruel of artistic catechism. It made all the difference. Many jazz pianists began their careers in just this way. Which is not to suggest that introducing children to musical instruments at a young age is either a mistake, or that some students may not thrive musically despite uninspired juvenile teaching materials. Geniuses, or gifted individuals in any area don't seem to be thwarted by bad introductions or poor instructors. But there probably is a clear connection between musical response and facility of play. It's hard to imagine someone who had no feeling for music being able to achieve much in the way of performance. For my own part, I never was interested in public performance of any kind. I knew that in order to succeed in that area, I would have to devote so much of my life's-time to preparation and drill, that there'd be no opportunity to experience the thousand other things my curiosity led me to. Commitment to an art, especially an instrument, requires great sacrifice, and I knew that my skill, such as it was, would never justify that kind of devotion. Most seriously successful musicians know by the age of 14 or so whether they have any aptitude for advanced accomplishment. However, late in my life--while I was living in Japan in the mid 1980's--given the chance of free time and a good keyboard--I did take up composing. Since I had never taken a "composition" or "harmony" course in my life, I had none of the prejudicial preconceptions about what was "allowed" with respect to time, tonality or technique. While pedagogical dogma would probably dictate otherwise, my feeling is that so-called juvenile musical pieces really have nothing to do with pedagogy. Rather, they're the "mature" mind's take on childhood, or an idealized imagination of childhood. In a way, children aren't "children" in the traditional sense. When we condescend to our own notions of the limitations of childhood, we're merely betraying a kind of prejudice towards children. Children are really little adults with limited experience and training, and adults are really children with more experience and training. The whole idea of a place in life specific to and peculiar to "childhood" is a fantasy invented by adults. Nevertheless, interesting and beautiful compositions have been made in the guise of pedagogical workbooks or studies. Chopin's Etudes are among the best examples of exploiting the application of one kind of keyboard prestidigitation or another to a musical idea--finding musical meaning inside an exercise. Bela Bartok [1881-1945] composed a series of pieces titled Microcosmos between 1926 and 1939, 153 progressive piano pieces, in six books. The idea of a collection of pieces arranged in an order of ascending difficulty is of course not new, since classical composers have been doing this at least as far back as the 16th Century. What's different is the augmentation of techniques of harmony and time signature, the evolution of alternative modes of composition. 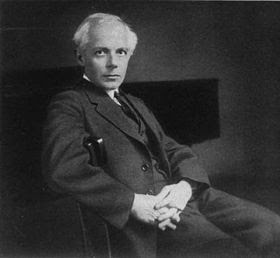 Both in terms of the character of the works themselves, as well as the generic profile, Corea's Children's Songs appear to derive directly from Bartok's earlier suite. Corea's 20 pieces are like an updated version of the Microcosmos, and like all respectful elaborations, it's neither a mimicry nor a parody of the earlier master. Corea's songs were composed at just about the point that the so-called jazz fusion movement was beginning. Though the jazz fusion movement was probably mostly about the mixture of different kinds of jazz and folk music from around the world, it was also about the cross fertilization of classical and pop. Corea, like Bill Evans, Keith Jarrett, George Shearing, McCoy Tyner, and Mel Powell, has drawn freely from both kinds of musical ideation. Check out this weird combination of Benny Goodman, Charles Ives, Gershwin, and Jewish band style, by Powell. Corea is Italian-Spanish by extraction, and you can hear an unmistakable strain of Mediterranean undercurrent in his work, in much the same way you can in the keyboard work of the late blind jazz virtuoso Tete Montoliu [1933-1997]. Corea's use of jazz chord patterns and runs in the Children's Songs is particularly inspiring when you think of how much broader the keyboard literature has become, since World War II. Bridging the gaps between classical and jazz and pop has had the perhaps unintentional effect (in my view) of raising the general standard of quality, too, for the public's appreciation of the possibilities of participation at all levels. When I was a kid, there was no one who could or would teach children how to play jazz, and if you wanted to do that, you were pretty much on your own. And of course, the idea that all kinds of musical styles are related in important ways, was an idea that would have to wait; since the musical taste was divided in those days into competing, hostile camps, among whom there was precious little trade. Why is it that one would be unable to appreciate McCoy Tyner's chord changes, and Haydn's keyboard sonatas? Are such kinds of musical apprehension "mutually exclusive"? Don't they actually correspond to different points on a very dense and wide range of psychological moods and feelings? Why some people seem to need to hear only one very narrow kind of musical expression has always seemed odd to me. You meet people who can only listen to Country and Western, and turn their noses up at "long-hair" music. Then some people can only listen to "cool jazz" all day long, or hard rock. When you hear a band arrangement by Glenn Miller, you can hear his particular "sound" in the brass blocking, and it's ingenious, but I would feel very restricted if I thought the only kind of musical performances worth listening to were the "big band" sounds of the late pre-War period. At times I might want to bathe in Schubert's rhapsodic lyricism--the province of young lovers--but at other times I want some strident intellectual etching like Copland's Statements. They're like different kinds of landscapes, which reflect different kinds of meaning. Sometimes I want the dour, constricted world of Morandi's little table of odd bottles, but at other times I want Pollock's huge flung braids of ecstatic physicality. Why should we be stuck in any one groove? White as a concept, a quality, a color. White light as the combination of all colors--white light. 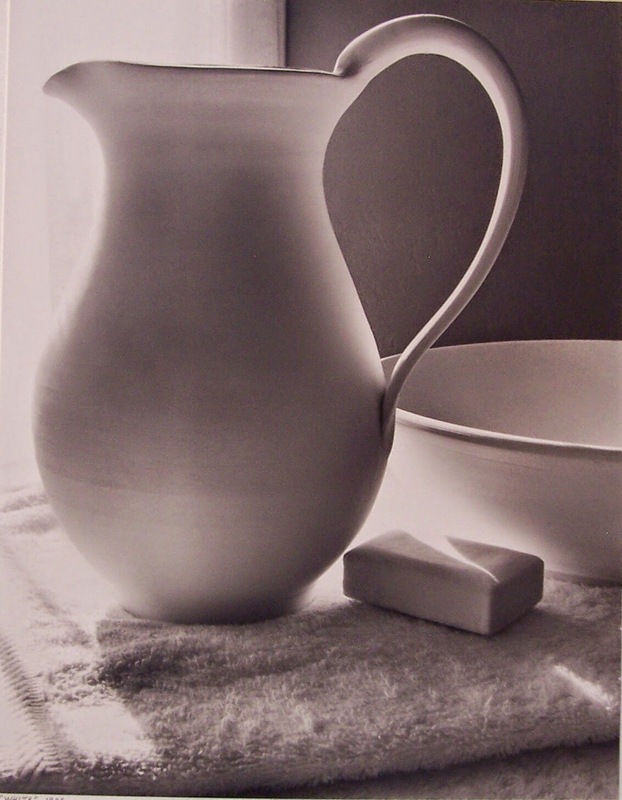 White as purity, incorruptible, bland, clean, empty. Shades of density, ranges of intensity. Gauze curtains on a still afternoon. White bedspread in a colonial house on Cape Cod. White flesh of the sea bass. White eyes in a black mask. Here in Northern California we're blessed to have a wide range of meteorological variation. People laugh sometimes when I tell them we have both redwoods and palm trees on the same street. Are we tropical or rainforest, desert or swamp? Actually we're right on the edge of the weather-maps, which is why we get such rich possibilities. Personally, I could never live full-time in a high-humidity climate--it just drives me nuts. I get claustrophobic. But here in the Bay Area, even on hot days, a mediating fog often rolls in during the night, cooling things down and allowing for a restful sleep. 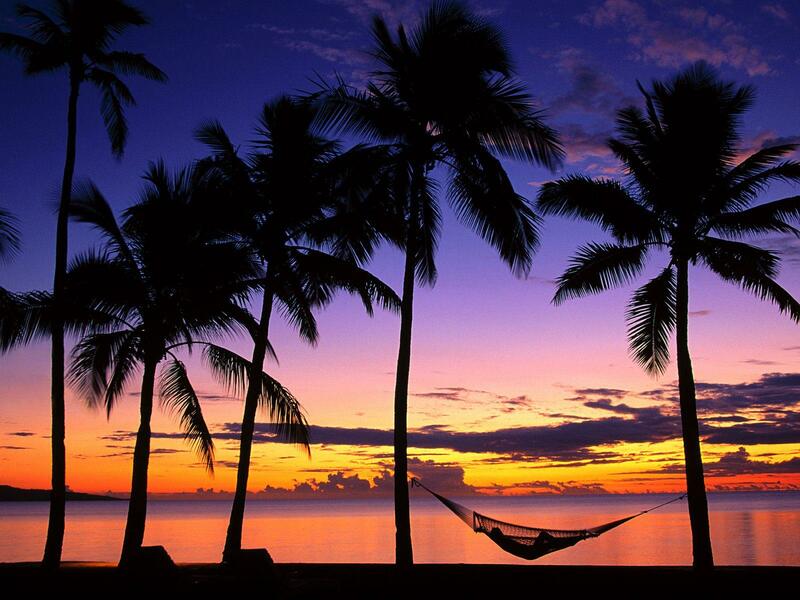 Still, I like the occasional tropical vacation as much as anyone. 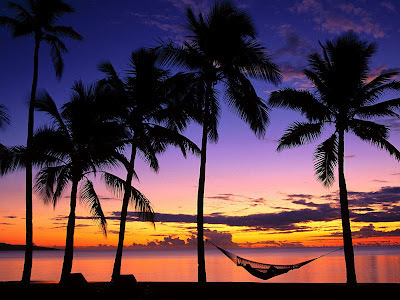 I love the sand--whether it's beaches, or dunes--and palm trees are so evocative. Bring on your tropical rainstorms! They don't last long, and there's always the hour or so of refreshing electric clarity that follows. In the spirit of which, let's get the Summer started early with a new concoction from the cabinet of spirits. I tend to prefer drinks served up, since throwing combinations into a glass of ice-cubes can often mask flavors, and make it hard to "see" the stuff too. Swirled around vigorously and poured up into a chilled cocktail glass. The combination of pineapple, banana and lemon is a natural synergy, but the addition of the rye is the secret. Great cocktails may consist of simple combinations, or of densely layered flavors, or the addition of one mysterious little ingredient. Without knowing about this one, you'd be hard-pressed to figure it out. Subtle taste is one of the most illusive of senses. Dust off that old bathing-suit and head for the beach! Since their banner Championship season in 2010, the Giants have been in a peculiar limbo. General Manager Brian Sabean's theories regarding the proper structure of a winning combination of offense and defense notwithstanding, the team continues to resemble its post-Bonds Era self--a weak-hitting line-up with superior (but not dominating) pitching. Each year its position-player profile resembles the year before: A combination of slightly over-the-hill veteran free-agents, green rookies, and contingent fill-ins. Sabean's pitching-rich approach was underlined again this year with the contract signings of Cain (8 years), Bumgarner (6 years), Lincecum (2 years) and Vogelsong (2 years)--all but locking up a commitment which borders on the euphoric--especially when you consider that Zito is still in the 6th year of a 7 year contract that pays him $19 million this year, with another yet to come plus the option. Laying out that much cash as a wager against possible injuries and predictable declines looks really imprudent, in this age of fast changing team structures and fluid player movement. And the evidence of that imprudence is right up there in living color. 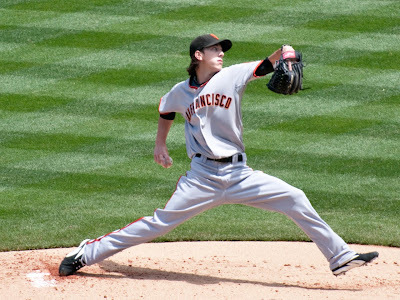 The steady decline of Lincecum's numbers since his sophomore Cy Young year is troubling, especially given the stressful delivery, and his reliance on speed to overcome opposing batters' adjustments. Where he once could pour in 97 mph fastballs at will, now his upper limit seems to be about 92. That little difference alone, despite the development of an effective change-up, seems to have been the difference that has led to his declining fortunes. Add to that his new difficulty with control, and my reluctant worrisome predictions of a shortened career last year begin to look positively clairvoyant. As recently as 2009, it seemed probable that Timmy might throw a no-hitter in any game he started. He'd frequently go five or six innings without giving up a hit, until surrendering a weak single. Nowadays, he often has trouble getting out of the first inning; and hitters have been zoning in his fastball, clobbering monster home runs early in the count. Last year I foresaw a time, soon to come, when Bumgarner would become the ace of the staff. That appears to have happened even quicker than I might have imagined. Still only 22 years of age, the kid from North Carolina is looking more and more mature, unflappable and consistent, and currently leads the team with a 5-1 record, and a 2.31 ERA. Cain, a hard-luck hurler, who, at age 27, still has yet to reach his prime, has looked dominating so far this year, and if he had had any run support, might well have at least 6 wins. Injuries have played a big part in the team's fortunes. Last year Posey went down with what I feared might even have been a career ending tragedy, but he's bounced back this year and promises to live up to his RoY glory. Whether his ankle will stand up in the catching position for long, is still conjecture. He's one of the bright spots on an otherwise ho-hum offensive line-up. Pablo went down again recently with his "other" hamate bone surgery--abbreviating another season, and depriving the team of one of its few decent bats. Despite the fact that this "chronic" injury was not of Pablo's making, the man's weight continues to be a concern. It's difficult not to imagine that his 30-40 pounds of excess gut aren't effecting his abilities on the field. Despite a long promise and some off-season training, Pablo still looks way overweight, and his (and the team's) complacence about this problem is costing the player (and his team) valuable production--at least in my view. Pablo is a lot of fun to watch, is a fan favorite, and seems to have a good attitude. But being regularly out of shape, when you're being paid millions to perform, is a sure sign of immaturity, if not selfishness. Aubrey Huff, whose 2011 statistical performance may have been as much as result of natural aging, as it was of poor off-season conditioning, went haywire last month, experiencing panic attacks, as his marriage (and his career) were falling apart. Huff's contribution to the team in its championship season of 2010 (26 homers, 867 RBI's, .290 batting average) was not repeated in 2011, and that was a major reason for the team's decline. It remains to be seen whether Huff will even be a part of the Giants' future. The way it looks now, he'll probably be gone by next year. Meanwhile, speaking of first base, the issue of Brandon Belt's development remains a mystery. Billed as the new Mark Grace, or whoever you want to name, he's not panned out the way management hoped. Now, in his second year in the majors, he's beginning to resemble Marvelous Marv Throneberry or even Damon Minor. He still seems like a kid who can't see a curve, or tightens up under pressure. Holding first base "open" for him is beginning to seem like a sacrifice to someone's pride. If we need a position for Posey, not to speak of Huff, or Bret Pill, for instance, it might seem that Belt's belated maturity could get in the way. Sabean's moves continue to puzzle me. Last year, the team picked up Miguel Tejada--who turned out to be a complete bust--and later added Jeff Keppinger and Carlos Beltran for add'l offensive punch down the stretch run. Holdovers from the previous year included Cody Ross, Torres, Rowand, Pat Burrell and Mark DeRosa--all of them long-gone now. As none of these figures contributed much last year, it was clear that the team needed to add power in the future. Despite this, both Keppinger and Beltran were not offered contracts, and instead the team acquired Melky Cabrera, Angel Pagan, Ryan Theriot, Joaquin Arias and Gregor Blanco. Aside from one good year in Kansas City, Cabrera could hardly be described as a serious power threat. Freddy Sanchez's shoulder is only one of many injuries he's had in his career. I speculated previously about his being prone to injury, and Pittsburgh may have seen that coming. If Freddy can't play second base, where else could he play? Without his bat in the order, you're stuck with people like Theriot or a minor leaguer to fill in. It makes one nostalgic for Uribe, who, despite his impulsiveness, was an excellent fielder and a dangerous hitter. With Belt, Burriss, Crawford, Schierholtz each looking like journeymen utility players--and Sanchez perhaps permanently down with injuries--in the future, the decision not to pursue any power and/or clutch hitters seems positively maddening. Posey will without much doubt have a fine major league career--perhaps in the mold of someone like Carlton Fisk--yet it's doubtful he'll ever be a genuine clean-up hitter, which is where the team has slotted him this year. A .290 hitter with 15 homers and 88 RBI's isn't much of a #4 hitting threat to any opposing pitcher. --the team could still wind up a distant second to the current Dodgers, if they continue to score under three runs a game on average. With Wilson gone, probably for good, undergoing a second Tommy-John surgery, the bullpen looks a lot more vulnerable than it has in the last five years, especially in middle relief, though middle relief is probably less important to this bunch of starters than it would be on most teams in the league. 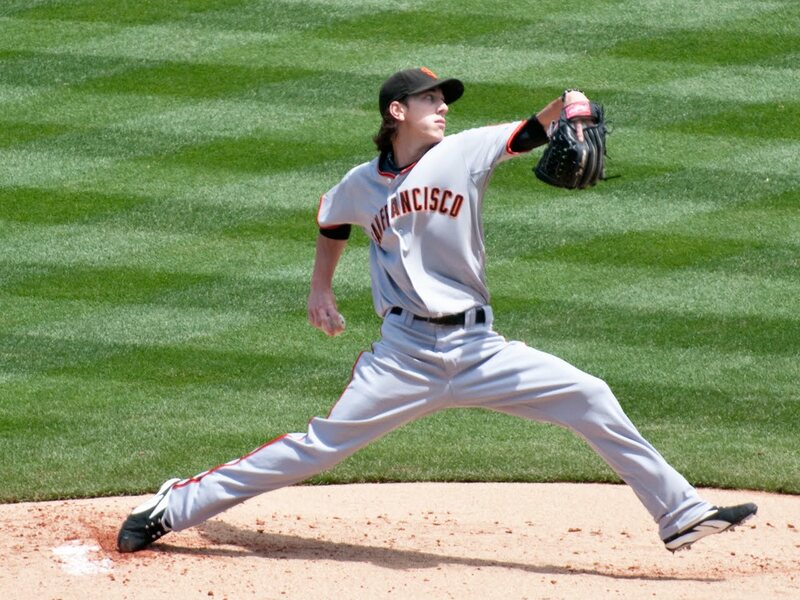 On the downside, Lincecum and Zito probably don't have a very bright future, based on current trends. Certainly, Timmy's never again going to regain his former glory, and if that's true, there had better be an adjustment in strategic planning soon, or the team's chances of competing, even in a weakened division, may be decaying. At 15-15, the Giants expectations for 2012 look anything but bleak, but without power, or speed, or average, it's hard to see how they could overtake the Dodgers, or even the Diamondbacks. What would have happened if the Giants had signed Beltran and Keppinger, and let Burriss and Belt go? Then the batting order might have been much more effective. Beltran currently has 10 homers and 26 RBI's and is hitting .288 for the Cardinals. Keppinger is batting .313 with the Rays. But my point here isn't necessarily with Beltran or Keppinger specifically, just with what the team's approach produces on the field. Sabean has shown himself to be quite irrational with respect to the value of journeymen pitchers, like Zito or Vogelsong, but he balks at paying good money to a power-hitting center fielder, preferring instead to focus on the development of minor leaguers, even those without nearly as much promise as they should have. Burriss and Crawford and Schierholtz and Blanco and Huff and Arias are all major league material, but how many pennants can you win with all of them playing at the same time? It's just not an effective line-up for scoring runs. My verdict is: Trade Belt, Schierholtz and Pill for something better. Send Burriss back to the minors. Get rid of Huff, and Zito. Encourage Wilson to retire. Go shopping for some sluggers, even if they don't hit for average.